In 1999, following the United Nations-sponsored act of self-determination, Indonesia relinquished control of the territory. 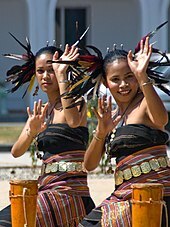 East Timor became the first new sovereign state of the 21st century on 20 May 2002 and joined the United Nations and the Community of Portuguese Language Countries. In 2011, East Timor announced its intention to become the eleventh member of the Association of Southeast Asian Nations (ASEAN). 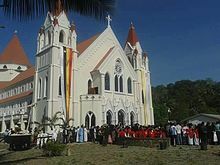 It is one of only two predominantly Christian nations in Southeast Asia, the other being the Philippines, as well as the only Asian country to be located completely in the Southern Hemisphere. Indonesia's occupation of East Timor was marked by violence and brutality. A detailed statistical report prepared for the Commission for Reception, Truth and Reconciliation in East Timor cited a minimum bound of 102,800 conflict-related deaths in the period 1974–1999, namely, approximately 18,600 killings and 84,200 "excess" deaths from hunger and illness, with an estimated figure based on Portuguese, Indonesian and Catholic Church data of approximately 200,000 deaths. 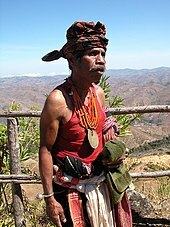 The East Timorese guerrilla force (Forças Armadas da Libertação Nacional de Timor-Leste, Falintil) fought a campaign against the Indonesian forces from 1975 to 1998. Following the resignation of Indonesian President Suharto, a UN-sponsored agreement between Indonesia and Portugal allowed for a UN-supervised popular referendum in June 1998. A clear vote for independence was met with a punitive campaign of violence by East Timorese pro-integration militia with the support of elements of the Indonesian military. With Indonesian permission, an Australian-led multi-national peacekeeping force was deployed until order was restored. 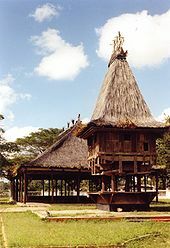 On 5 June 1998, the administration of East Timor was taken over by the UN through the United Nations Transitional Administration in East Timor (UNTAET). The INTERFET deployment ended in February 2000 with the transfer of military command to the UN. The Portuguese colonial administration granted concessions to the Australia-bound Oceanic Exploration Corporation to develop petroleum and natural gas deposits in the waters southeast of Timor. However, this was curtailed by the Indonesian invasion in 1976. The resources were divided between Indonesia and Australia with the Timor Gap Treaty in 1989. East Timor inherited no permanent maritime boundaries when it attained independence. A provisional agreement (the Timor Sea Treaty, signed when East Timor became independent on 20 May 2002) defined a Joint Petroleum Development Area (JPDA) and awarded 90% of revenues from existing projects in that area to East Timor and 10% to Australia. An agreement in 2005 between the governments of East Timor and Australia mandated that both countries put aside their dispute over maritime boundaries and that East Timor would receive 50% of the revenues from the resource exploitation in the area (estimated at A$26 billion, or about US$20 billion over the lifetime of the project) from the Greater Sunrise development. 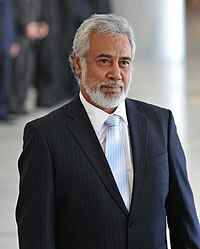 In 2013, East Timor launched a case at the Permanent Court of Arbitration in The Hague to pull out of a gas treaty that it had signed with Australia, accusing the Australian Secret Intelligence Service (ASIS) of bugging the East Timorese cabinet room in Dili in 2004. 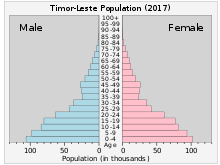 East Timor is part of the Timor Leste–Indonesia–Australia Growth Triangle (TIA-GT).